The statesman and reformer James Oglethorpe was a significant figure in the philosophical and political landscape of eighteenth-century British America. His social contributions--all informed by Enlightenment ideals--included prison reform, the founding of the Georgia Colony on behalf of the "worthy poor," and stirring the founders of the abolitionist movement. He also developed the famous ward design for the city of Savannah, a design that became one of the most important planning innovations in American history. Multilayered and connecting the urban core to peripheral garden and farm lots, the Oglethorpe Plan was intended by its author to both exhibit and foster his utopian ideas of agrarian equality. 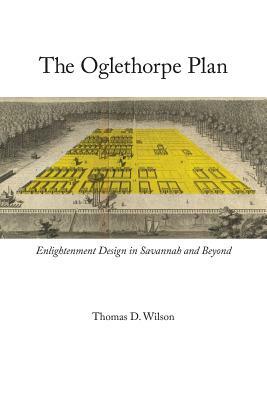 In his new book, the professional planner Thomas D. Wilson reconsiders the Oglethorpe Plan, revealing that Oglethorpe was a more dynamic force in urban planning than has generally been supposed. In essence, claims Wilson, the Oglethorpe Plan offers a portrait of the Enlightenment, and embodies all of the major themes of that era, including science, humanism, and secularism. The vibrancy of the ideas behind its conception invites an exploration of the plan's enduring qualities. In addition to surveying historical context and intellectual origins, this book aims to rescue Oglethorpe's work from its relegation to the status of a living museum in a revered historic district, and to demonstrate instead how modern-day town planners might employ its principles. Unique in its exclusive focus on the topic and written in a clear and readable style, The Oglethorpe Plan explores this design as a bridge between New Urbanism and other more naturally evolving and socially engaged modes of urban development. Thomas D. Wilson, AICP, is a town planning consultant in South Carolina. He previously served as director of comprehensive planning in Savannah, as planning director for Beaufort County, South Carolina, and as a planning official and research analyst in Miami, Key West, and Philadelphia.